Another hilarious collection of comics about dealing with anxiety, being introverted, loving life, and staying creative! 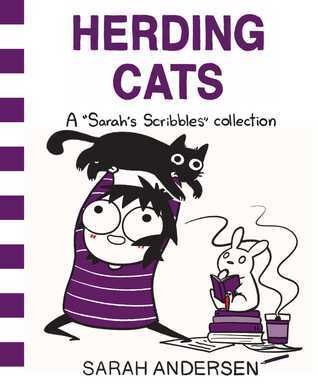 I just adore Sarah Andersen’s work. She has such a unique way of cutting to the heart of what brings delight or disaster into our everyday lives. She actually makes me laugh out loud, crazy giggle, and chuckle to myself when I read her work. The only reason I took off one star is because I’m not a pet person, and several of the comic panels are about loving dogs and cats. I’m just ‘meh’ about pets, so those didn’t interest me. However, pet owners would probably love those. Disclaimer: I received an ecopy of this book from the publisher via NetGalley in exchange for a free and honest review. All the opinions stated here are my own true thoughts, and are not influenced by anyone.